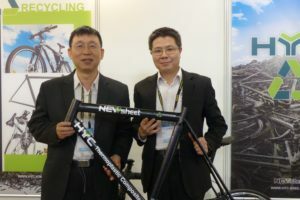 PARIS, France – In volume and turnover the French bicycle market followed the European trend of growing business last year. Not only bicycles and accessories, but also e-bike sales are up substantially and becoming trend-setting. In 2014 the total value of the bike and P&A market increased by 7.5% to €1.616 billion. 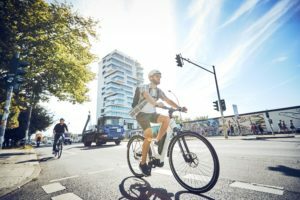 The sales volumes are still small compared to other cycling-minded European countries, but now the e-bike is also the frontrunner on the French market. In 2014 it generated double-digit growth figures for the second year in a row. Last year the French bought 77,500 electric bicycles, an increase of 37% compared to 2013. The e-bike is shaking up the French bicycle mobility market as it did before in the Netherlands and Germany. But also folding bikes booked sharp growth figures (+14%) while classic city bike sales declined by 5.4%. French industry organizations Univelo and FPS report growth in overall bicycle sales in 2014 of 7%, to 2,977,600 units, representing a total value of €918.8 million. The average retail price which has been stable at the same level since 2006 rose by 1.5% to €307. Bikes used for leisure managed to strengthen their market position. The mountain bike is still the market leader in volume and generated a 10% sales increase last year. This category now holds a market share of 28.5%. Also kids’ mountain bikes have a strong position on the French market with a share of 19% in overall sales. Sales of parts and accessories increased by 6% compared to 2013, to €697.3 million. The big winner in the French distribution channels for bikes and bike products are the webshops. Last year they managed to grow their business by 29% in the sale of complete bikes and 24% in value. According to the industry organizations they now hold a market share of 15%. 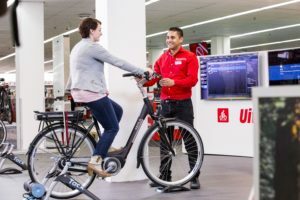 IBDs experienced sales growth of 3.8% in bicycles and accessories. In value terms, the IBDs are still the largest player in the sector, with a 43% market share. In bikes only they have a market share of 50%. Sports supermarkets like Decathlon held a market share of 34% in value, and managed to increase their sales by 10% in bicycles and accessories last year. The hypermarkets could not reverse the downward trend in sales of the past years. Although they increased their sales in components and accessories by 4.5% to a stable market share of 8%, the volume in bicycles continued to erode by 1.5% in 2014, resulting in a market share of 21%. 2014 was marked by positive news about the French bicycle industry. 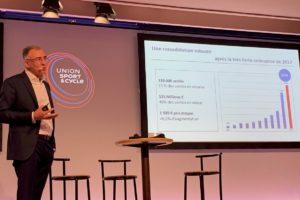 In September e-bike manufacturer and Paris based Easybike reported the acquisition of Lagardère, owner of the brand Matra and its e-bike factory in Romorantin. Matra e-bike production will be moved to Easybike’s new plant, which is under construction in Saint-Lô and expected to be ready in 2015. Last year SR Suntour announced the start of rear shock assembly in France. With this policy change SR Suntour meets the needs for more supply chain flexibility of bike makers in Europe. In the next months the Vélovertigo facility in Chambéry, France formerly owned by Henri Manders, who sold his company to SR Suntour, will be converted for assembling parts. 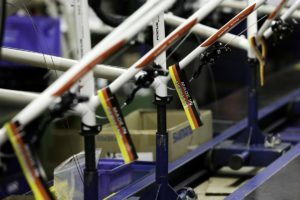 Finally Intersport reported booming bicycle production at its Machecoul plant, only two years after the acquisition from Cycleurope. Today Machecoul is operated by MFC (Manufacture Française du Cycle) founded by Intersport. According to MFC, production has increased from 130,000 in 2013 to an estimated 375,000 in 2015.